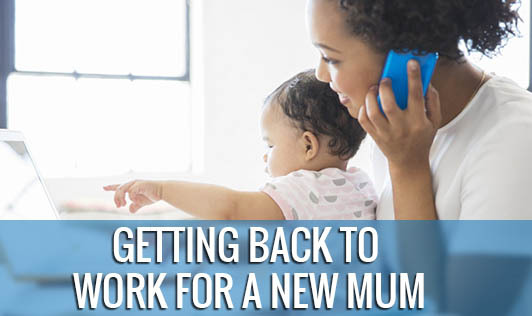 For a new mother, getting back to work is a big task. Getting back to work and managing deadlines at work with less stress is very important. One should develop good managing skills for all these activities. 1. Get organized: It's amazing how many people spin their wheels each day looking for lost keys, phone numbers, the red shirt or a specific pair of shoes. Spend a weekend getting yourself organized. Keep a list at a place where you move around frequently, each time you empty something, add it to the list. 2. Write things down: Always, keep a small notepad handy. When you think of something you need to do, jot down a reminder. This will save you endless minutes recalling just what you were supposed to do. 3. Get an engagement calendar: Get a calendar to write down all your engagements, addresses and phone numbers. By keeping all the information in one place, you won't have to dig for it later. 4. Designate days: Choose a day or a night to do your grocery shopping and errand running each week. Choose a day to clean your home. Stick to your schedule and forget about these responsibilities during the rest of the week. 5. Do things in bulk: When possible, buy groceries and drugstore items in bulk to save a trip to the store. When you prepare one casserole, make one or two extras and freeze them. 6. Seek help from your partner: Take help from your partner to prepare breakfast for you, putting clothes into the washing machine, washing vessels or even cleaning the room. An extra set of hands goes a long way. 7. Finish what you have started - one at a time: When you start a project, see it through to the end. Leaving many unfinished projects causes anxiety about finishing each, and soon you'll be spinning your wheels. 8. Review your priorities: While certain joy can be found in relaxing over a television show, don't overload. If you are watching three or four hours of television a day, that is time probably better spent doing something else. 9. Make a file system: Buy a cardboard file box and folders. Make folders for bills, insurance, letters, bank statements and anything else you may need at hand. 10. Have a reading pile: Keep everything you want to read, including mail and magazines, by your bed and read 10 minutes a night to unwind. These tips can help you stay organized and save a good amount of time.